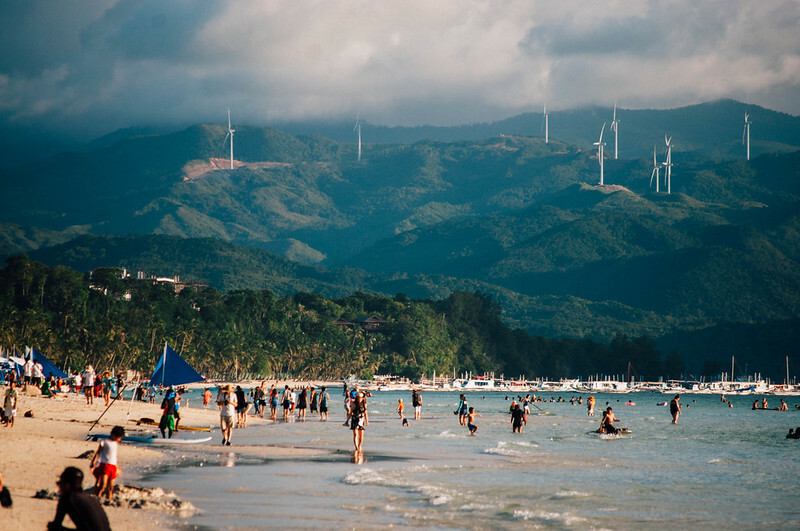 Hailed as one of the best beaches in the world several times, Boracay continuously lures tourists each year. The island is famous not only for its powder fine sand and exciting activities, but with its awesome nightlife as well. I could easily spend a whole day just laying on the sand and enjoy a cup of smoothie or beer while the breeze blows. Aside from that here are a few more that you can do. If you want to enjoy the beach with less people, you might want to visit during lean season. Off-peak season in the Island starts from late May till November. This season is also the time when the water is the clearest. Caveat though, if you go there during the American Thanks Giving holiday you might encounter a crowd larger than the usual off peak season. This is because this is the best time for people who work for American companies take advantage of some rest and relaxation. I actually like travelling during Thanks giving weekend. Hotels aren’t that expensive as if it was peak season but they offer amenities like buffet in house and some even offer free cocktails at night, that’s why I think that is the best time to go to Boracay. Summer season starts end of February and climaxes between March and April. These are also the months when classes comes to a halt giving families to come together and enjoy a day at the beach. While you may think that the number of people will start dwindling come may, you are wrong! Big time! 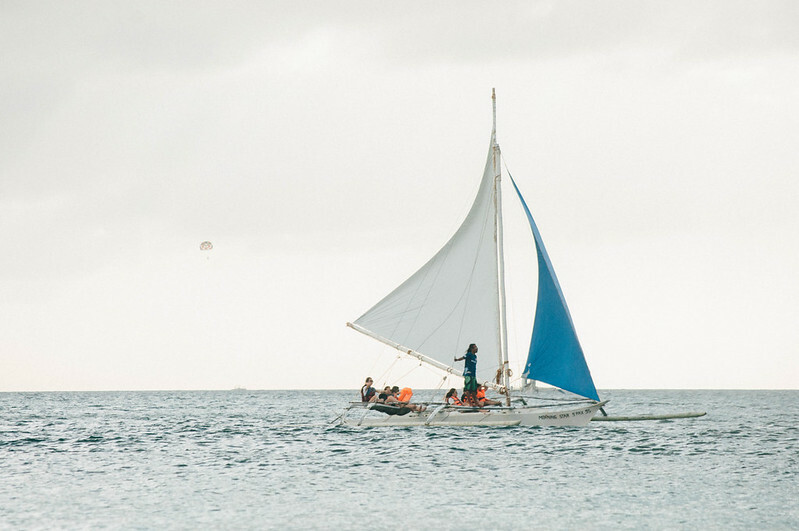 The biggest event in the island actually happens every May 1, Labor day! In fact people have coined a word for this weekend, LaBoracay weekend (read as Labor -racay) combining the words labor and Boracay. If you plan to join the LaBoracay festivities, better book your hotels and flights several months in advance as they will shoot waaaay up and hotels do become fully booked all over the island. Holidays abound during these months so expect more people trying to get to the island. Prices to go up so just like during super peak seasons, book your airfare and accommodation in advance. It can be a bit crowded on these months but nothing like if it is LaBoracay. Also, the water is perfectly clear too on during these times. Most major airlines in the Philippines fly directly to Caticlan the nearest airport. However, most travelers opt to land at the Kalibo International airport as it is always cheaper. 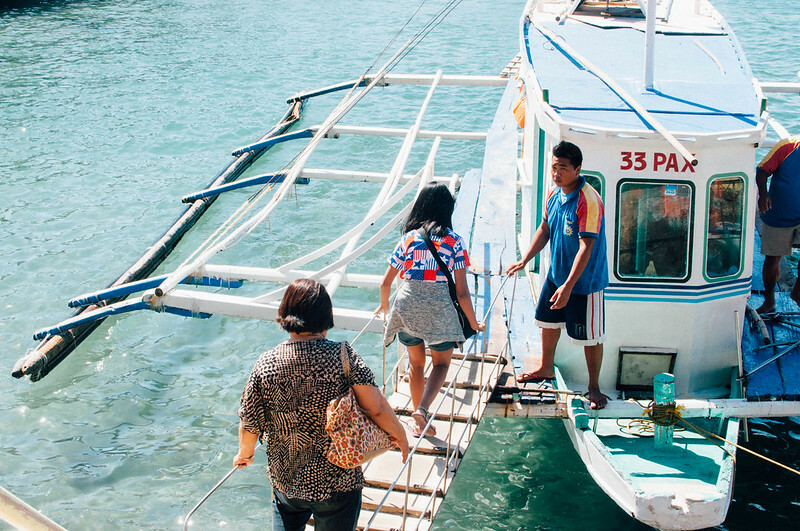 From Kalibo you can take a bus or van directly from the airport to the Caticlan Jetty Port. Boats from the port to the island is available 24 hours. As soon as you arrive ready your pesos to pay for the Environmental Fee (100), Terminal Fee (75) and Boat Fare (25). Get the best value out of your buck at Hostel Avenue. A beach front property, this hostel offers a great view of the sea from its veranda. This entry was posted in Aklan, Philippines, Travel Guides and tagged aklan, Boracay, itinerary, visayas. Bookmark the permalink.